​Our public hunts take place in northern and southern New Mexico in quality units know to produce trophy mule deer. We will put you in the New Mexico draw utilizing the outfitter pool to help increase your odds of drawing your New Mexico tag. We handle all paperwork required by the New Mexico Game and Fish in the unit of your choice or one that we highly recommend 2B, 2C, 5A, 5B, 6A, 7, and 16. 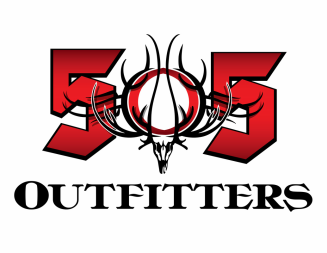 My team of guides and I frequently visit these units, in anticipation of the upcoming season, locating bucks and tracking where they like to hang out so there is no guessing game when you finally draw your coveted Mule Deer tag. We are always willing to discuss draw odds and units with our clients to help draw their New Mexico Mule Deer tags. If you have drawn a tag or are solo hunters looking for a little help we have a hunt to fit your needs. Deadline for public land draw is March 22, 2017, so give us a call to start planning your hunt for the upcoming season. Minimal Guide Service (Rifle/Muzzleloader/Archery) Includes two consecutive days with a knowledgeable guide and pack out of game if harvested within this time frame. This meets the minimum requirements of NM Department of Game & Fish. ﻿ This service does not include meals and lodging. Guide Only Service (Rifle/Muzzleloader/Archery) Includes five consecutive days with a knowledgeable guide, transportation while in the field, and pack out of game within this time frame. This service does not include meals or lodging.